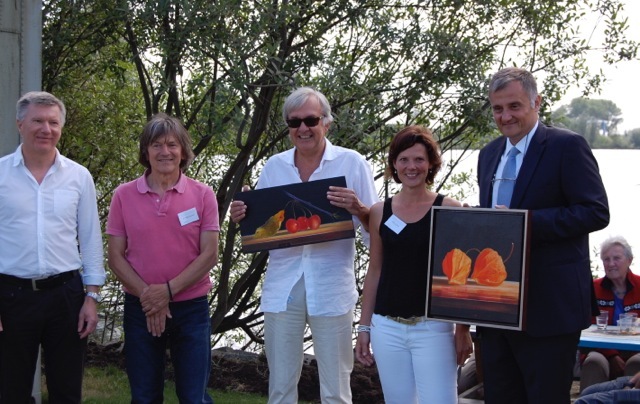 The exhibition of Serbian artist Tomislav Paunković “Two of a kind” was held in the “ART VINKEVEEN”, Groenlandsekade, 3645 BA Vinkeveen. The Old Dutch Masters served as the artist`s example, therefore Mr. Paunković was delighted to exhibit his work for the first time in the home country of Rembrandt van Rijn, his main example. The exibiton was opened by the Ambassador of the Republic of Serbia Mr. Petar Vico on 15th of June at 15.00h. Information about the artist - Tomislav Paunkovic and his guest - Jasmina Pejcic.